← Inspiration or lack of creativity? 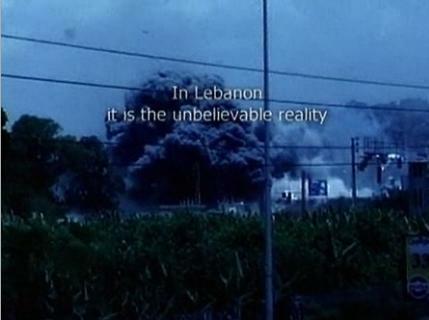 Along the lines of the Lebanese reconstruction after the 2006 war between Israel and Hezbollah, The Lebanese Republic Higher Relief Commission (go check their website, it is AMAZING :p) has created an anti-war commercial which compares the visual effects used in Hollywood, to the violent reality that happened in Lebanon during this war. With the tagline “Act Now”, the spot aims to raise money for the rehabilitation and reconstruction of the Lebanese infrastructure. I really don’t know what agency is behind this commercial or when it was produced so do not hesitate to share! This entry was posted in Advertising, Media, Only in Leb and tagged ad, commercial, hollywood, karine jazra, Lebanese Republic Higher Relief Commission, lebanon, war. Bookmark the permalink.